Why is the IRS requesting information from me? A revenue agent will examine and audit the financial records of individuals, businesses and corporations to make sure that tax liabilities have been met. In conducting the tax audit, the IRS will request to see receipts, invoices, records, credit card statements, cancelled checks, and other documents. During this process, the IRS checks whether you stated income and expenses accurately on your income tax return. If the IRS is not satisfied with the information you provide, or if certain items do not reconcile, they may decide to expand the categories being audited. What are the risks in giving information directly to an IRS agent? When interacting with a Revenue Agent, it is important to be truthful and forthright. Making false statements during the audit can only make existing problems worse. At the same time, it is important to understand that certain pieces of information are not discoverable by the IRS. The IRS agent will try to get as much information as possible and some information can be used against you at a later date. Occasionally, the taxpayer has the right to defenses based on the U.S. Constitution or procedures in the Internal Revenue Code. If those defenses are not asserted at the outset, the taxpayer might lose the right to assert them further down the road. A knowledgeable tax attorney knows what information to produce versus when to assert defenses. Sometimes, the written request from the IRS agent may be unclear or unduly burdensome. If that is the case, you can talk to the IRS agent for clarification or negotiate a more limited request. What are the consequences of not responding to an IRS request for information? 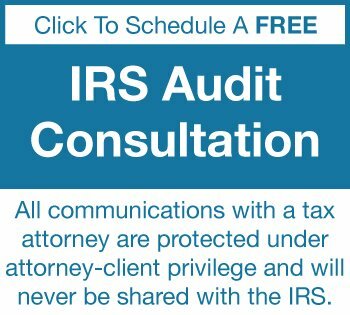 IRS Revenue Agents will also expect you to comply with requests for information in a timely fashion and according to a pre-determined schedule. Being organized and meeting deadlines can help the process go more smoothly. In the course of the audit, the IRS may request access to the taxpayer’s receipts, invoices, records, credit card statements, cancelled checks, and other documents. Many audits involve a bank deposit analysis. In these analyses, the IRS will request bank records to compare the income reported on the tax return with the net deposits into the bank account. By law, the taxpayer is required to maintain records of income and expenses, and failure to provide that information to the IRS when requested may result in the imposition of penalties. 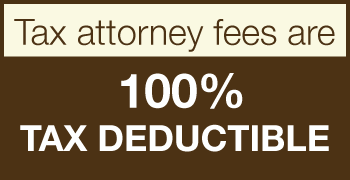 A tax lawyer can help you present your information to the IRS agent in an organized fashion. Organization and timeliness are essential when dealing with the IRS during an audit. An experienced tax attorney will also help you protect your rights when the IRS attempts to obtain more information than it is entitled to. Being audited can be intimidating and scary. The right attorney can make the process go as smoothly as possible. The Tax Lawyer - William D Hartsock has been representing client interests in all tax matters, including IRS audits and requests for information, since 1982. 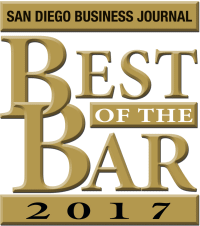 Call today for a free consultation with the full protection and benefits of attorney client privilege.